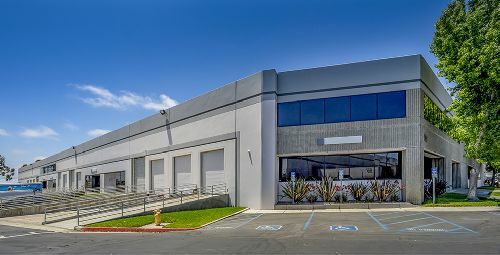 Washington Capital Management acquired Trolley Industrial Center, a 105.5k sf, multi-tenant industrial building in San Diego’s South Bay submarket. The price was not disclosed. Situated on 5.1 acres at 1330 30th St, Trolley Industrial Center is in the high-barriers-to-entry South Bay Industrial submarket, which has a lack of available developable land. The property is proximate to and between Interstates 5 and 805, which lead to the U.S.-Mexico border approximately four miles from the property. Additionally, Trolley Industrial Center is 15 miles from the Port of San Diego. The property is currently divided into four spaces and home to four tenants, including Leidos Innovations and Lockheed Martin. Completed in 1985 and most recently renovated in 2017, the building features 10 dock-high loading doors, six grade-level doors, 24-foot minimum clear heights, 85- to 175-foot truck court depths and low office finish. Andrew Briner, Michael Roberts and Bill Fishel with HFF, along with Michael Mossmer of Voit Real Estate Services, represented the seller, a joint venture between Comstock Realty Partners and an unnamed partner. The property will be managed by Stos Partners.